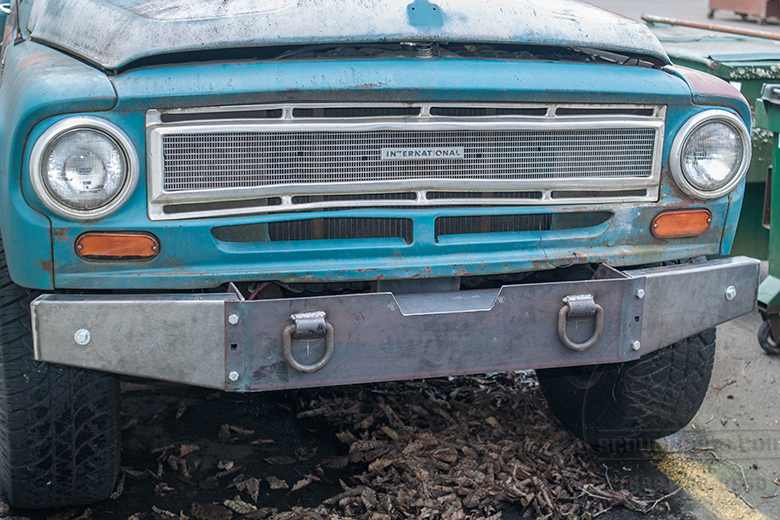 Our heavy duty pickup and Travelall bumper is made to handle the toughest conditions. 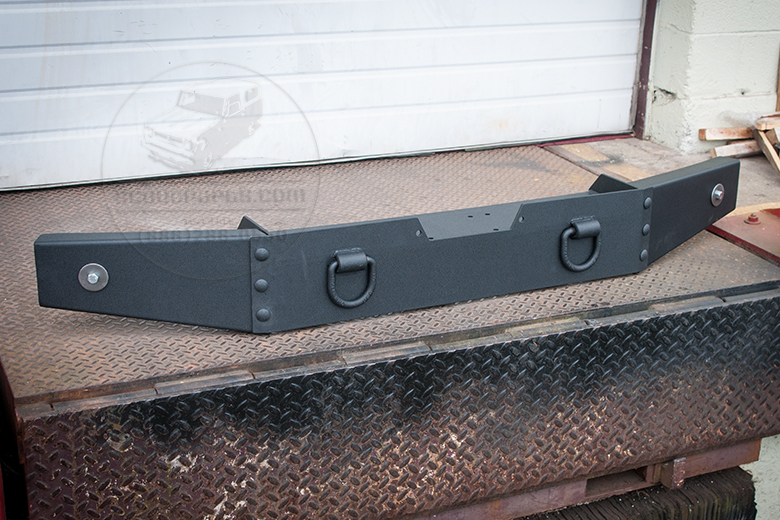 Bumper comes drilled to accept a down-mounting winch (Warn M8000, Mile Marker or similar). 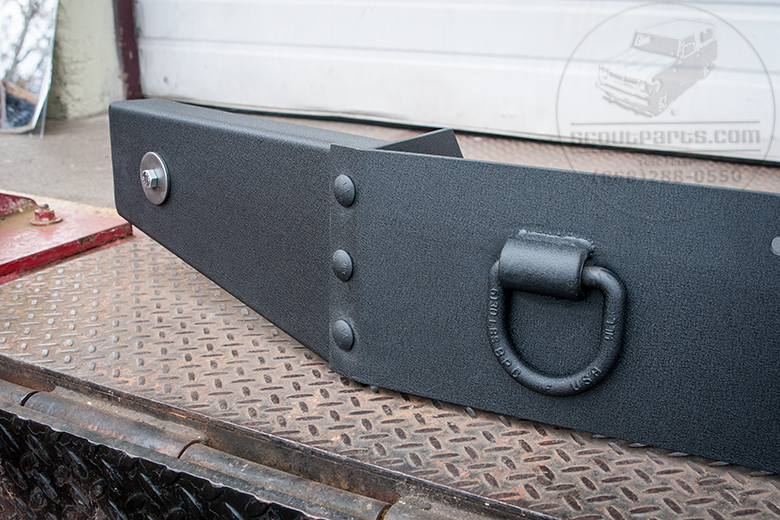 Modeled after the original Warn units of the 1970's, this heavy duty bumper is built with precision and strength in mind. 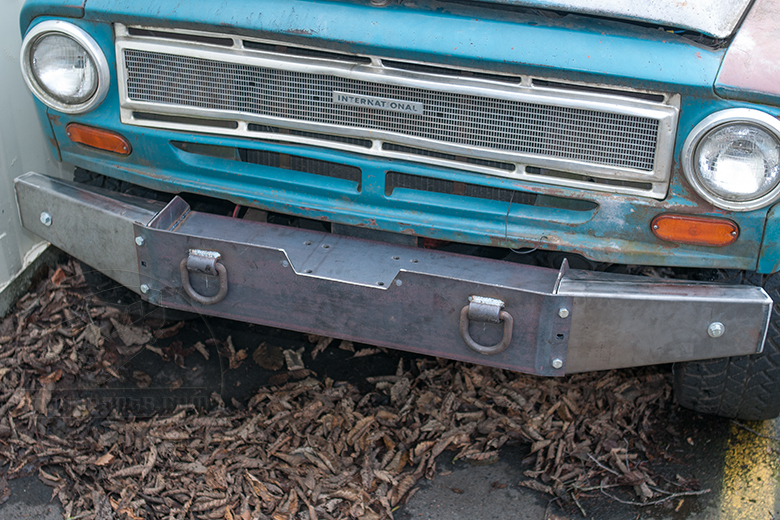 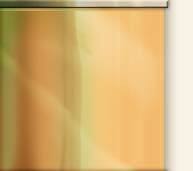 Bumper uses all stock mounting holes, no drilling or fabrication is required whatsoever. 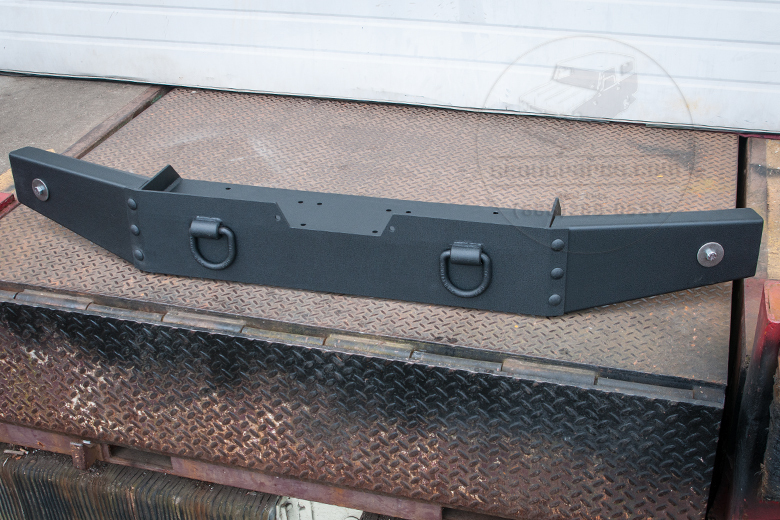 Ships UPS ground in three main pieces for easy assembly.